Jeff Karstens will get the start tonight for Indianapolis. After going on the DL on 4/18, he made his first rehab start while with Altoona five days ago. Indianapolis is in first place in their division, three games ahead of second place Toledo. Coverage of the daily games will expand to six teams, one week from today, as both Dominican Summer League teams begin their season on June 2nd. A full recap of yesterday’s games can be found here. Jeff Karstens will make his second rehab start since going on the DL on April 18th with right shoulder inflammation. He pitched for Altoona on 5/21, going three scoreless innings, with two hits allowed, no walks and one strikeout. Before going on the DL, he made three starts for the Pirates. He allowed one run in six innings on 4/7 against the Phillies. Jeff then allowed three runs in five innings against the Dodgers on 4/12. In his last start, he threw just one inning before leaving the game. Nate Baker will make his ninth start of the season tonight. 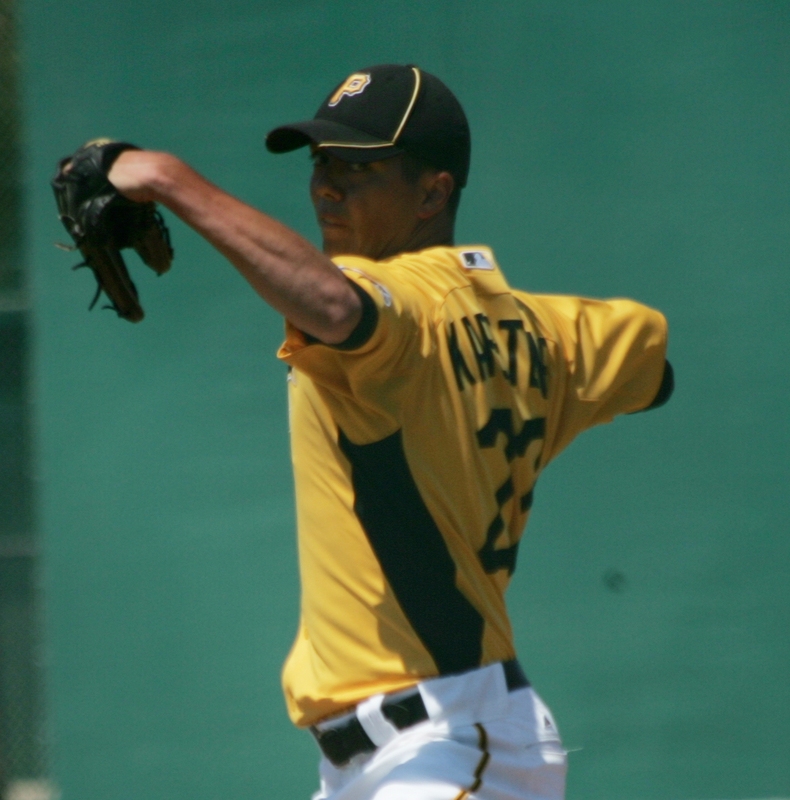 He pitched in relief of Jeff Karstens during his last outing, going four innings, with three hits and one unearned run allowed. He started against Bowie on 5/16, going 4.2 innings with two runs allowed. He reached his pitch count early due to five walks allowed. On the year, Nate has pitched 44 innings, allowing 40 hits, 22 walks and 22 strikeouts. Batters are hitting .244 against him on the year, .219 from the left side. Hunter Strickland will make his seventh start of the season tonight. In his last start on 5/21, he threw five scoreless innings, allowing four hits with one walk and two strikeouts. In his previous start, he had allowed four runs on seven hits in 2.1 innings. Hunter has pitched a total of 23.1 innings, allowing 27 hits, four walks and he has recorded 13 strikeouts. He missed three weeks of action after getting hit with a line drive during his start on 4/21. In his start prior to that incident, he threw six scoreless innings. Ryan Hafner will make his seventh start of the year tonight. He has pitched a total of 23.2 innings, allowing 33 hits, 18 walks and he has struck out 18 batters. Against right-handed batters, Ryan has allowed three homers, 11 walks and a .436 BAA. In his last outing, he went four innings, allowing three runs(two earned) on seven hits and four walks. He has had one strong outing this year, throwing five shutout innings on 5/5 against Greensboro. In that game, he gave up two hits and one walk, both season bests.